Hoka One One Hupana Named for the Maori word for "spring back," the HUPANA's responsiveness-due to its full RMAT midsole and outsole-creates a sensation of flying just above the ground. This feeling is reinforced by the ultra-breathability of the knitted upper. The Hupana is a shoe you can wear all day. From run to workout to running around town, this agile little number features the renowned HOKA cushion feel, and the responsive and lightweight full RMAT midsole and outsole provides a unique combination of durability and responsiveness. 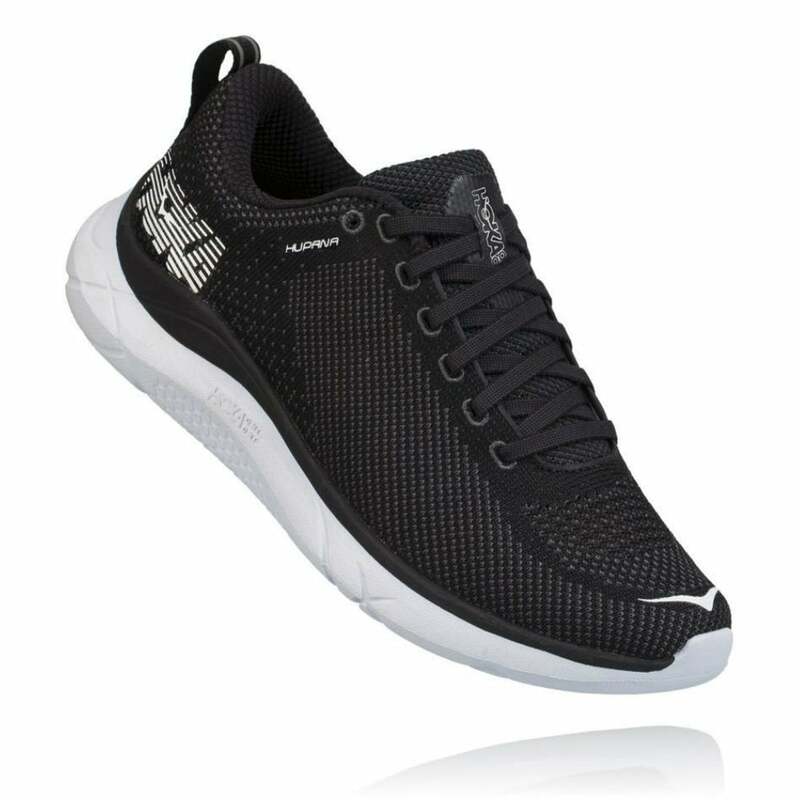 With its clean lines, versatility and fit, the Hupana is a shoe you'll want to add to your running shoe collection today. Weight: 232g - Weight is based on size EU 42 2/3 and may vary depending on size. A great lightweight running shoe from Hoka!